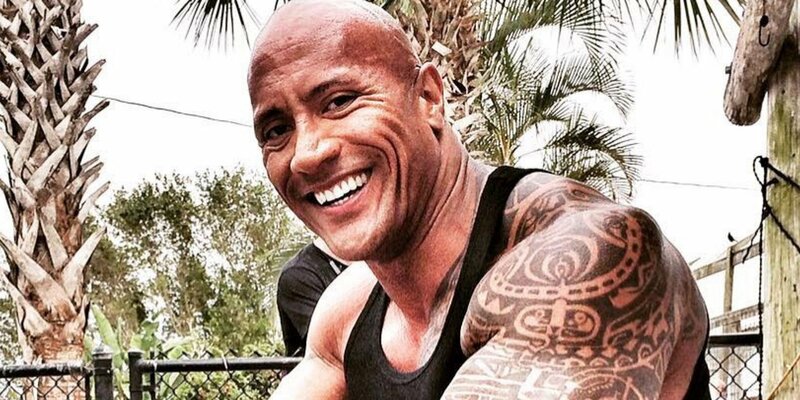 Home » Celebrities » People Are Furious Over This Photo of "The Rock"
Dwayne “The Rock” Johnson is a pretty well-liked guy, from his fun action movies to his relationship with girlfriend Lauren Hashian. The actor and former pro wrestler is also known for his funny Instagram posts, but a recent photo the actor posted is causing some controversy. On Friday, Johnson posted a photo of himself smiling while sitting on top of alligator and holding its mouth shut. While the picture now has over a million likes, and some fans didn’t see anything wrong with what Johnson did, a noticeable amount of critical comments can be seen under the photo. “Wrong is wrong. He shouldn’t be sitting on an alligator,” one follower wrote. “Try to wrestle the gator in her natural environment and not punish her because of how she ate to survive. Animal cruelty,” another added. “@instagram why is there no “report animal abuse” option? This is intolerable!” a third wrote. As W Magazine previously reported, Johnson posted a similar photo in April. In the caption, he explained how he prepared for his movie Rampage, in which he fought a crocodile, but he received negative comments on that photo as well. “Gorillas weren’t the only animals I spent time with for my RAMPAGE research. Luckily, I’m a country boy who lives only a few miles from the swamps of the Florida Everglades,” he wrote. Johnson hasn’t commented on the outrage on either photo. The Animal Rights Foundation of Florida has previously condemned alligator wrestling, and in 2017 Vice reported that while attractions like gator shows and alligator wrestling are fueling the independent tourism industry in Florida, it’s a felony to kill or injure an alligator unless authorized by the Fish and Wildlife Conservation Commission in the state. Thankfully, The Rock doesn’t seem to be injuring the alligator in his photo, but he did anger a lot of animal-rights activists. Hillary Clinton Reveals If She’s Team Dwayne Johnson or Vin Diesel in ‘Fast & The Furious’ – Watch Now!